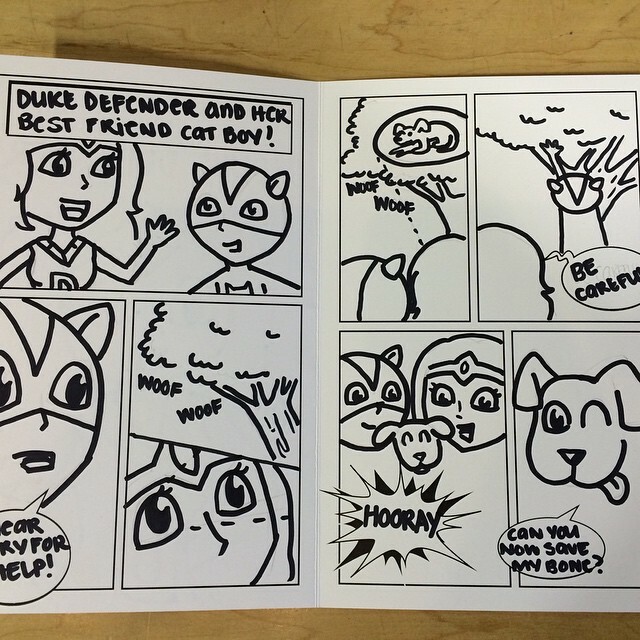 South Carolina native and Winthrop University alumni, Shannon Duke aka “Duke the Defender”, is a talented and warm-hearted graphic designer at Eat.Sleep.Work, Inc who facilitated some amazing Creativity Heals Drawing and Illustration workshops at Catskill Elementary. 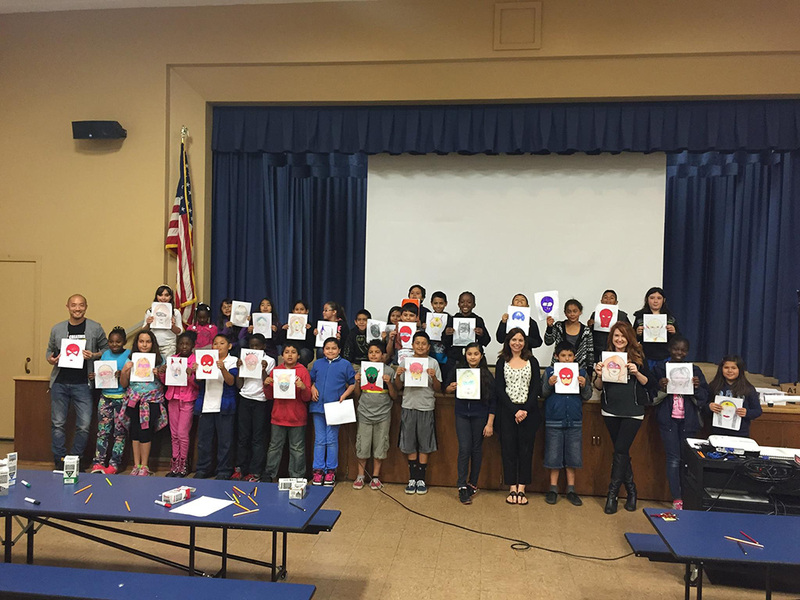 She empowered these 4th graders to draw a “Superhero Selfie” of themselves and define their unique superhero powers. Some superheroes of the day included Burger Man, Lava Man, Fart Boy, Vine Girl, and Diamond Girl. 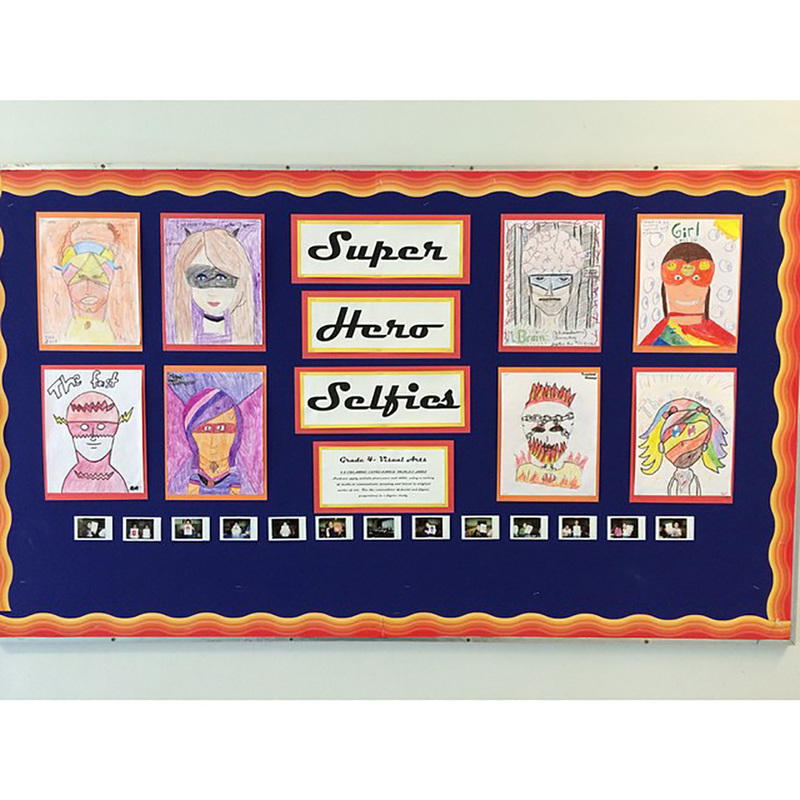 Shannon continued the Superhero Selfie theme into the following workshop where they created comic books featuring their own superhero, flexing each child’s story-making and problem solving muscles. 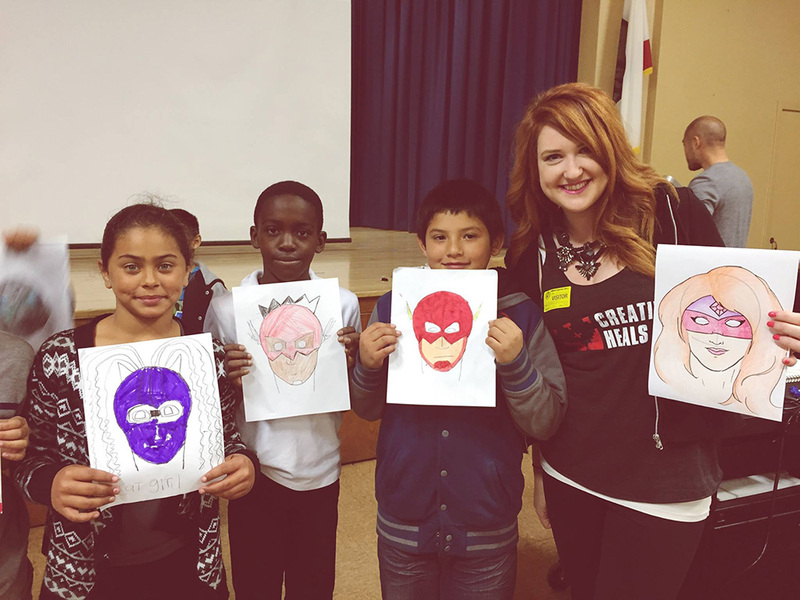 Catskill and Creativity Heals gave me an opportunity to use my talents in a way that could help these children, but I found it not only helps these kids, it impacted my life as well. The fact that these kids have remembered my name and are so excited to see us proves to me that what I’m doing is meaningful and that is such a reward. Find Shannon Duke at Shannon Duke Design and Eat.Sleep.Work., Inc.